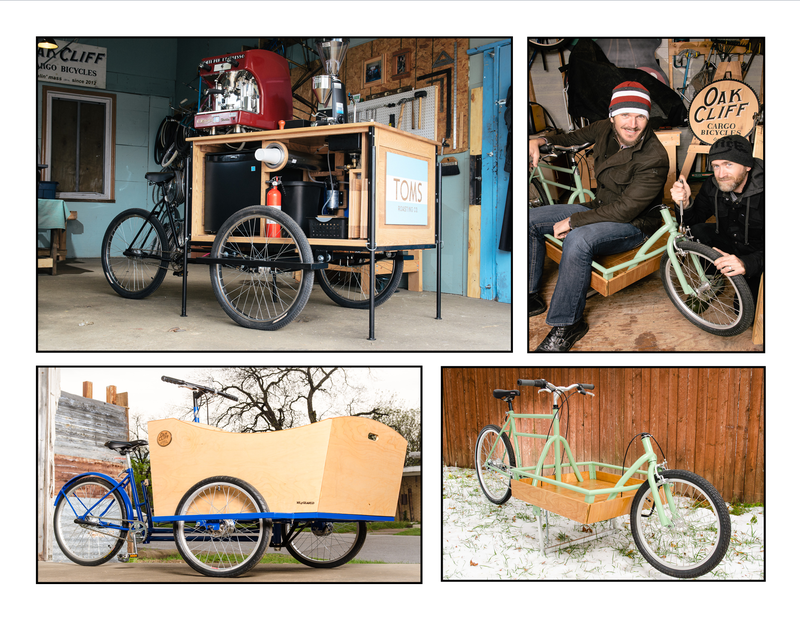 On November 15 2014, the Oak Cliff duo of Jonathan Braddick and Brennen Bechtol will launch the next evolution of their cargo bicycle line when they kick off a Kick Starter campaign to design and build a new cargo bicycle frame from scratch. 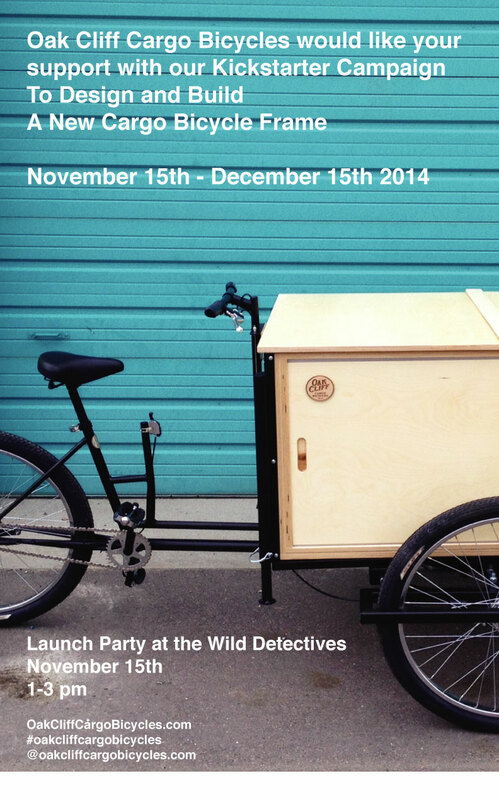 They invite anyone interested in learning more about their campaign, the bicycles they build, or simply to enjoy a beverage with them at Wild Detectives this Saturday, November 15th, 1:00 PM – 3:00 PM. The campaign will run for 30 days. 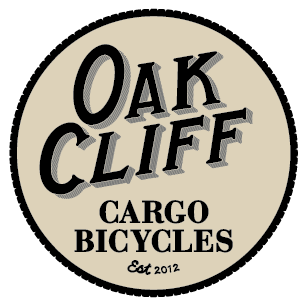 Started in December, 2012, Oak Cliff Cargo Bicycles has been building environmentally-friendly, hand crafted, and affordable Dutch style cargo bicycles, and shipping them to bicycle loving states such as California, Colorado, and New York. However, with the ever increasing popularity of being a bike friendly community, consumers in Texas have become their primary geographic clients. To date over 23 bicycles have been built, and most of them being fabricated in 2014 right here in Oak Cliff. Like the products themselves, these two have been doing things a bit differently when it comes to how you build a bicycle frame. Using donor bicycles, they’ve been able to carve out a niche market and sell bicycles consisting of approximately 45% of recycled material. Their products are a part of a popular return to the DIY approach to craft building, and locally sourcing material to be proudly USA built. The funds raised will help them to learn industry techniques of building a scratch built frame at the United Bicycle Institute in Portland, OR, and then design a top of the line product to complement their recycle-built models. The funds will also be used to help them improve their capital equipment to fulfill their goal of stream-ling their manufacturing process. Next Next post: New Scratch Built Frame and Components coming soon on all Models!